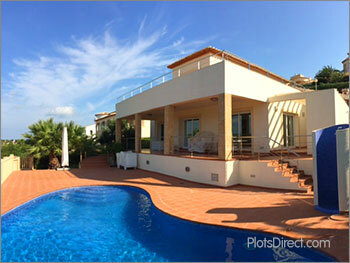 A beautiful villa exactly where you want it and how you want it. 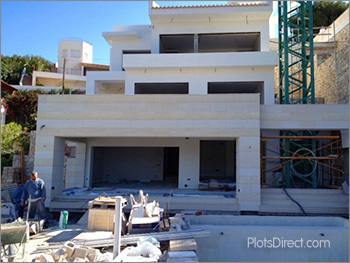 ‘Plot and build’ means no compromise because the villa is designed to your exact requirements. The property will also be constructed using the latest materials with modern fittings, insulation, windows, appliances, connections and so on. 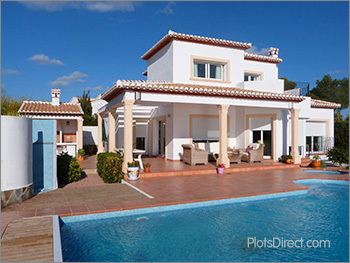 Design can still be traditional Spanish villa or finca style, or you can choose the flat-roof Ibiza look. Or maybe ultra-modern minimalist design so more light can flood the living areas. 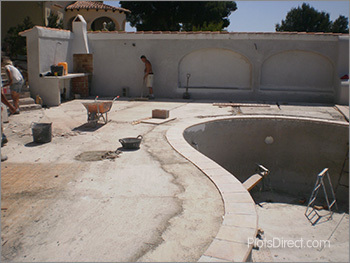 The layout and room distribution can also be created from scratch, as can the pool and garden landscaping. 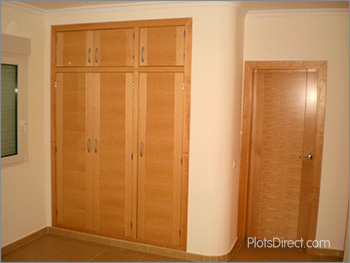 An office, gym, cinema, studio, apartment or playroom can also be incorporated. Maybe you would like an elevator installed. And most importantly, the house can be oriented so that the sun, the shade and the view are all properly considered. 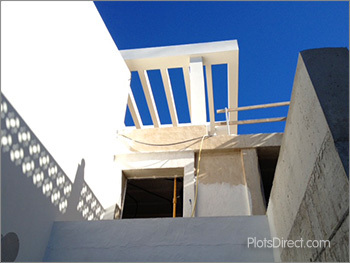 Once you have decided on a plot we will introduce you to two qualified professionals; the lawyer and the architect. 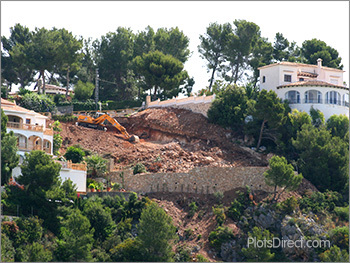 The lawyer will check all legal aspects of the land to ensure that the plot is safe to buy with ‘urbano’ building permission. The architect will sit down with you and discuss your requirements and wish-list. 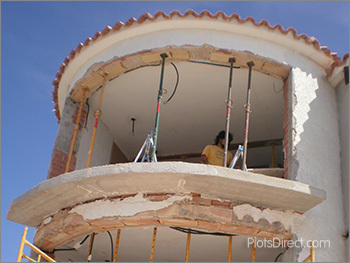 The architect can also recommend the best constructors and trade specialists. 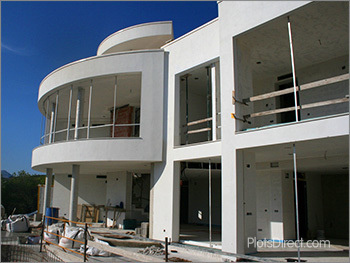 Build quotes are then prepared and, once approved, a construction contract is drawn up and payment terms are agreed. Once you approve the villa design, the architect will submit the plans to the local town hall and a building licence is then granted. Timescale will depend on the size of the build but, on average, the whole process should take about 12 months, sometimes less. Below are some examples of ‘plot and build’ and reform projects that we have managed over the last few years. Some time ago, Lars Gustavsson made a promise to his family. 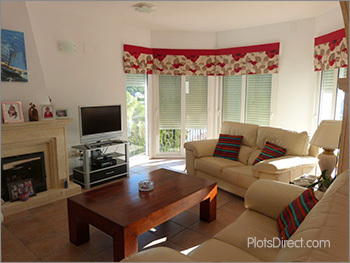 He promised that one day they would have a holiday home on Granadella beach. By 2010 only one plot remained above this beautiful natural beach so he thought he better buy it! Once the plot was acquired, Lars and his wife sat down with the architect and went through a very specific wish list for their dream property. 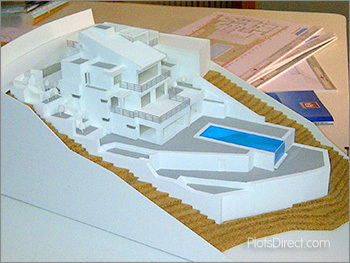 After a couple of meetings with Miguel Poole, the modern design began to take shape and a scale model was commissioned to ensure all the details worked. 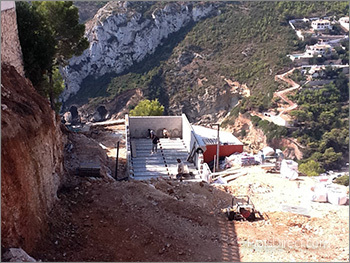 This was a very steep plot, clearly visible from the beach below, so traditional dry-stone walls were built to ensure that the design of all retaining garden walls reflected the beautiful natural landscape of the Granadella National Park. 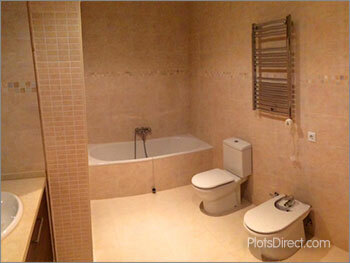 This was to be a 3 year project managed by Plots Direct. 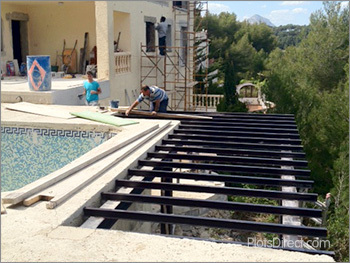 Based in South Africa, the client could only visit Spain when his business schedule allowed so frequent updates and photos were emailed to keep him informed of the progress. 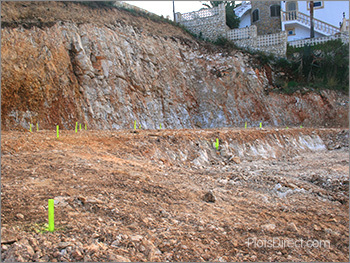 Excavation and foundations of the steep plot were completed in the first year. 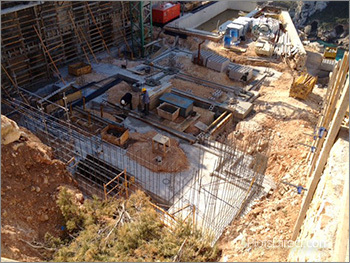 The second year was spent constructing the concrete structure and the third year of the timetable was for final construction, finishes and landscaping. The 4 bedroom project includes an elevator, a cinema, a temperature-controlled wine cellar, a large heated infinity pool and a fully equipped gymnasium and sauna. A stunning modern kitchen, a bespoke barbecue area and a beautiful wine bodega, created by local designer Jaume Bisquert, were also fitted. 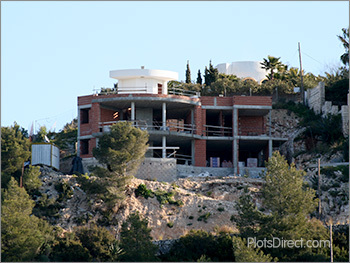 The project was completed on schedule in November 2013, and is one of the finest examples of contemporary villa design and construction on the Costa Blanca. 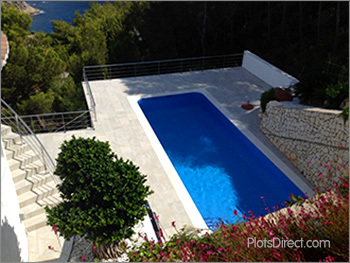 A 35 year old villa overlooking Portichol island was in need of total reformation. 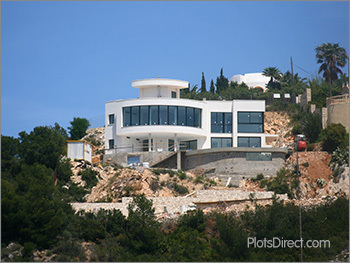 The clients had bought the property in 2007 for the outstanding sea view but the layout and design of the villa meant that the view couldn’t be properly appreciated. The living area was dark and the windows were small, so natural light was restricted. 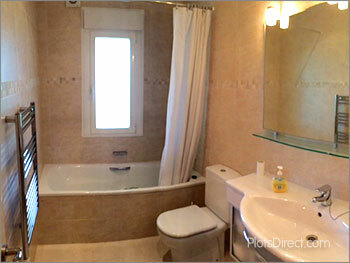 Bathrooms and bedrooms were in need of complete redesign and re-fit. 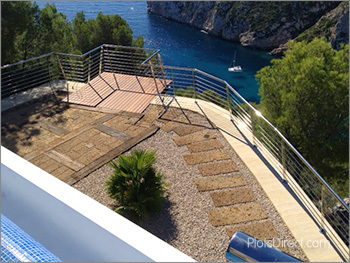 The pool area was also very tired with cracked balustrades with uneven steps. 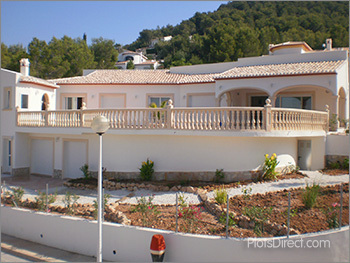 The villa had potential, but it needed to be realised. An underbuild storage area was also to be converted and enlarged into a spacious living area for guests and staff with connecting internal staircase. 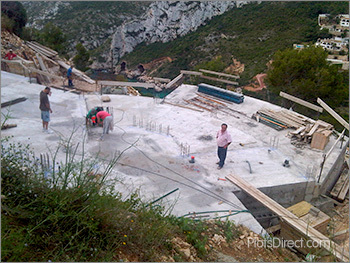 The clients commissioned Plots Direct to undertake a total reformation of the villa in January 2012 and the project was completed ready for the following summer. The result is an excellent example of how to salvage a tired, damp and dark old villa and create a modern, large and stylish contemporary home that fully appreciates the beauty of its surroundings. 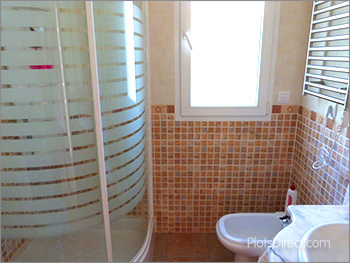 Furthermore, the property has trebled in value to €1.200,000. 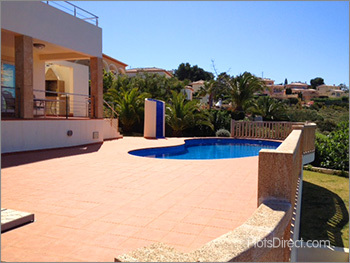 Vanessa and I have owned a villa in Javea for around 10 years and have spent several happy summers there, but with 6 children and their friends often in town, we decided something larger was needed! 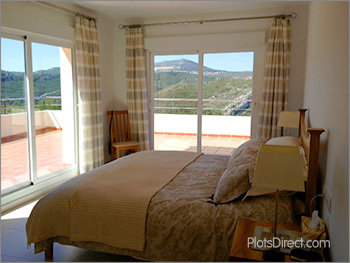 After a fairly brief search we found a large villa on a wonderful plot high above Moraira. 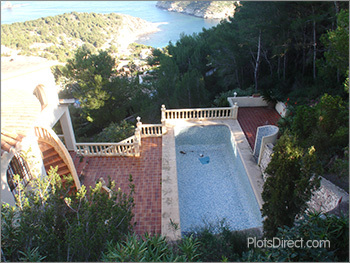 We fell in love with the outstanding sea views and fabulous lagoon pool, but the house was not to our taste or layout. 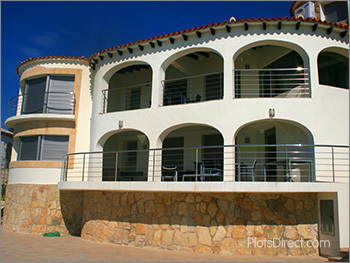 Major transformation was needed and Plots Direct helped liaise with architects, builders and the town hall to renovate, restore and create a truly beautiful and relaxing holiday retreat. 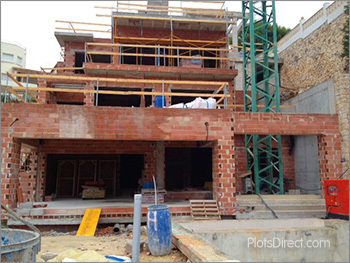 We popped over from the UK as often as we could during construction, but left the management of the project to Plots Direct who kept us accurately informed with progress reports and photos. The regular emails were most appreciated. 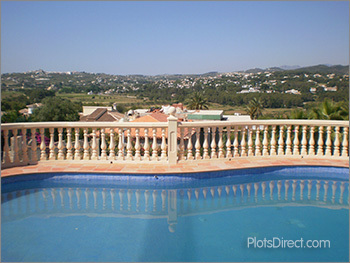 I bought an old resale villa in the Balcon al Mar area of Javea in 2005. 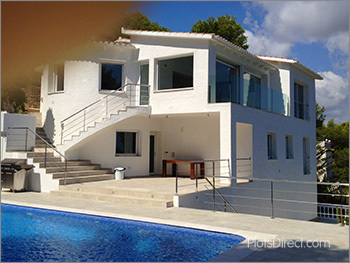 The villa was very tired but it sat on a beautiful large plot high above the coastline near the Cabo de la Nao lighthouse. 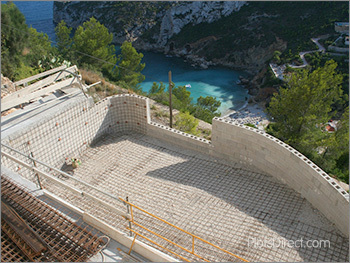 The views over the Mediterranean sea were breathtaking, but the villa needed enlarging and reforming. 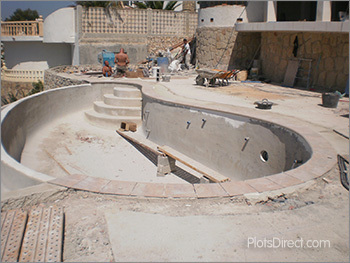 I had plans drawn up by a local architect and then asked Plots Direct to oversee the construction project for me as my wife and I would be spending most of our time in England while the building work was being done. 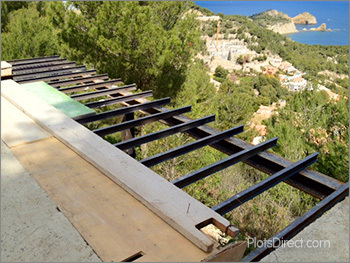 Over the next 9 months the villa doubled in size and the tired old house was transformed into a large modern villa with large bright windows and terraces so that the stunning views could be enjoyed from every possible angle. 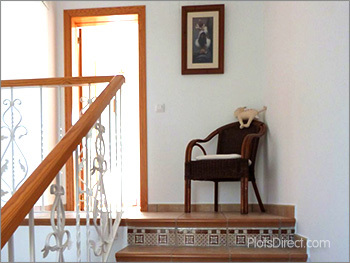 Although completely modernised, we still wanted the property to retain the traditional Spanish feel of the original old villa and we managed to achieve a perfect balance of old and new. 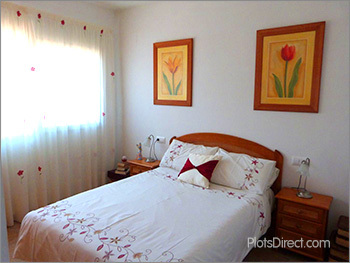 Madeleine, my children, and I had been visiting Javea for about 20 years. 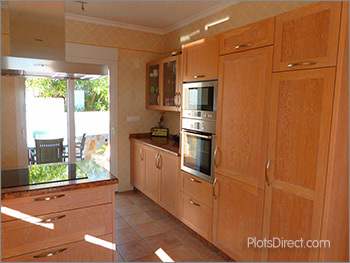 We had always dreamed of buying a holiday villa, and in the summer of 2005 we asked Mark at Plots Direct to help us find what we were looking for. 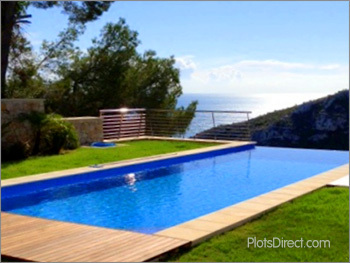 After visiting several locations we reduced the wish-list to three plots and finally decided on a beautiful plot overlooking the Granadella National Park in the hills above Javea. 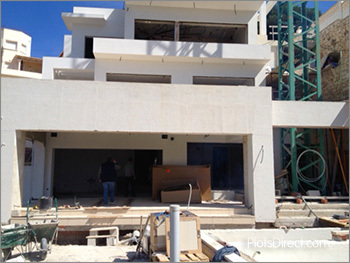 Mark then introduced us to Paco, an architect who quickly grasped what we wanted and Jesus, a builder who proved to be more than capable of constructing the project on time and within budget. 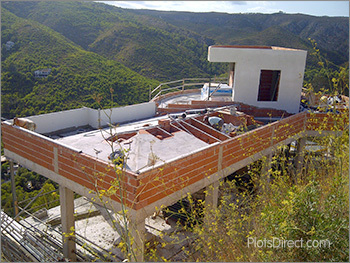 I run a construction company in the UK, so I am used to excuses, delays and problems associated with building sites but I was very pleased with the way my Spanish villa project was handled and overseen by Plots Direct. We were sent regular updates and photos as the project developed, so never felt out of touch with details and decisions that needed to be made. 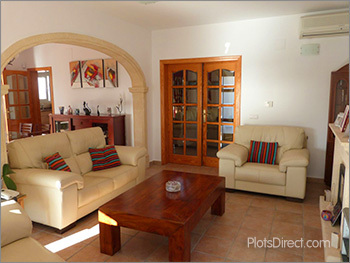 We now have a beautiful Spanish villa and spend as many weeks as we can there, with my family, friends and granddaughter. 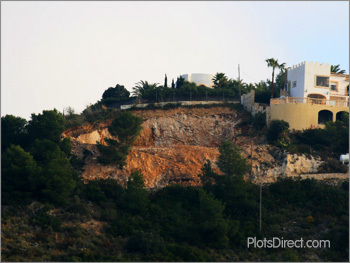 In 2007 I decided to buy a plot and build project on the Costa Blanca, as an investment. 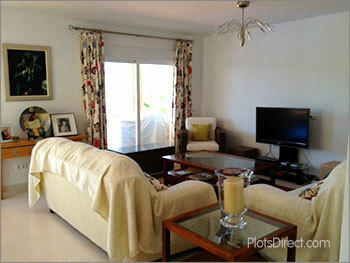 I asked Plots Direct S.L. 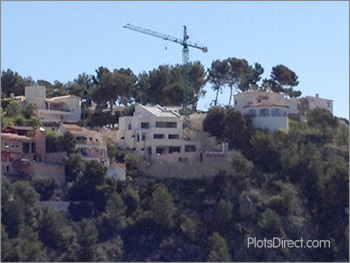 to advise and assist in the search, and eventually acquired a plot with project, plans and building licence near Javea Golf Club. 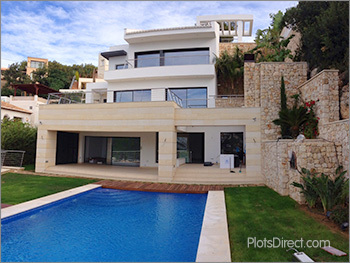 Plots Direct managed the project from start to finish and kept me informed of its progress so I could monitor the construction development of the villa from my UK home. The result has proved successful as, despite the worldwide economic downturn, Plots Direct sold the development before construction had been completed. 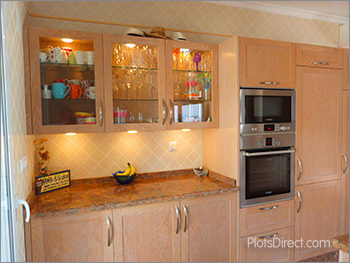 I would like to thank Plots Direct for superb project management. 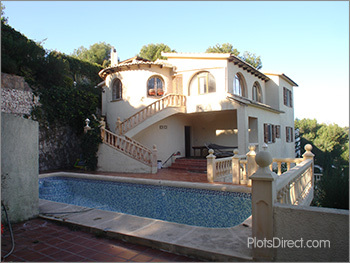 I spent several days with Plots Direct viewing properties until I finally decided to purchase an old, dilapidated house in Javea. The house may have been in need of restoration, but the view was spectacular so I decided to purchase the property and begin the total transformation! 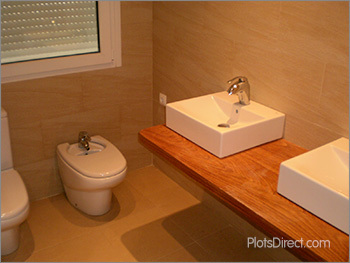 I entrusted Gary at Plots Direct to manage the total reformation of this considerable and complicated project. 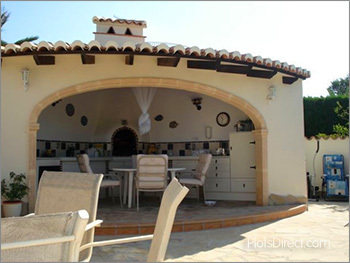 A Spanish architect was required to re-design the layout and experienced craftsmen were recruited to convert a rambling, neglected shell into a modern, stylish front line villa. I don’t speak Spanish but this was never a problem. 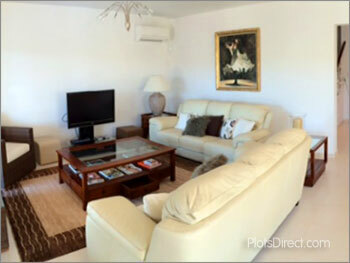 The magnificent sea-view can now been seen from every room and the attention to detail on each floor is superb. Views from the pool area, nayas and balconies are fabulous and I look forward to spending many holidays there with my family. 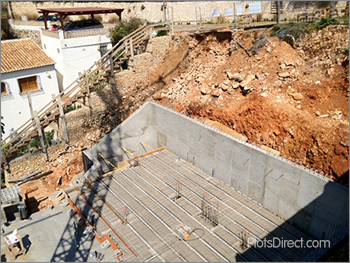 My work restricted me from visiting Spain during the construction but Gary and his team kept me informed with regular progress reports and photos. 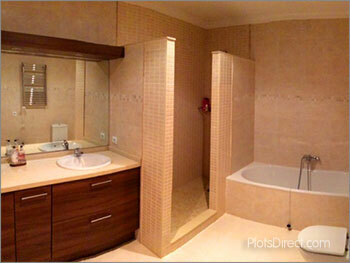 The project was finished on time and within budget. I have since recommended Plots Direct to friends who commissioned them to reform their villa nearby and I will definitely be recommending them again. 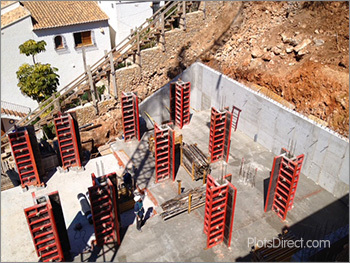 Finding somebody I could trust with this project in Spain was very important to me. 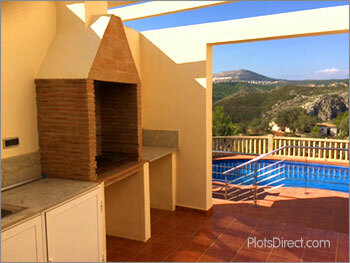 As the photos show, the build quality of my beautiful villa is quite superb. 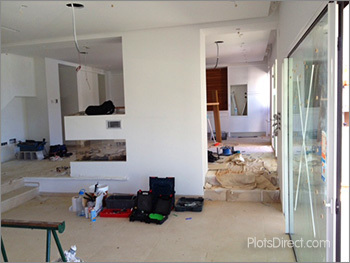 I would like to thank Gary and his team at Plots Direct for managing the project so professionally. 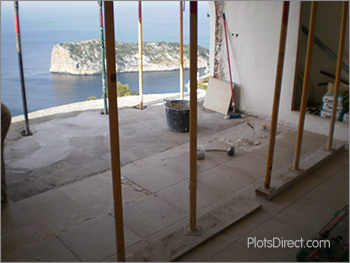 The client wanted a plot with a breathtaking sea view. 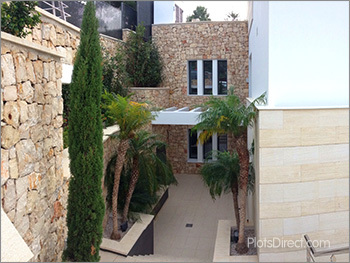 His dream, if possible, was to construct a very modern villa overlooking a beach and the search ended when he purchased a south facing plot with spectacular views over the Granadella beach in Javea. This beach has been voted best Spanish Beach for the last two years. Architects were appointed, the design was approved and the building licence was granted. An architect’s model was also built so that the striking design and layout of the villa could be fully appreciated and analysed. 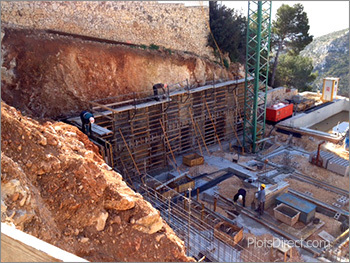 The terrain above Granadella forest is notoriously rocky and steep, so excavation and construction of the foundations could only be undertaken by a team of experts thus ensuring the stability and complete safety of the building and the construction workers. 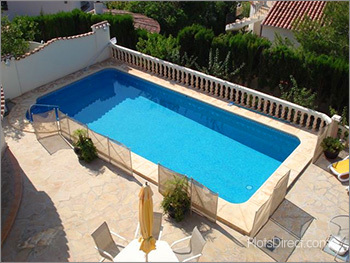 The layout and pool are all strikingly modern and the amazing view can be enjoyed from every room. There is even a glass window in the swimming pool. 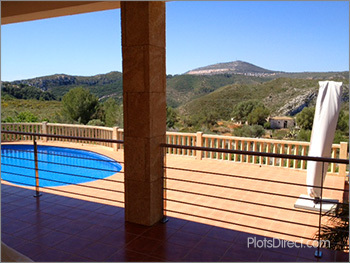 We were recommended to Plots Direct by friends, so we asked them to show us around Javea as we intended to build a villa and retire in the area. We had a wish-list and a sea view was particularly important to us. 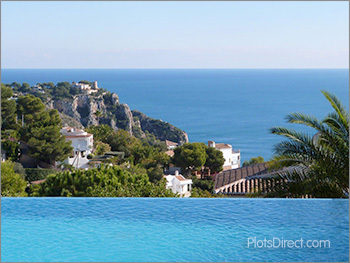 We visited several coastal locations before settling on a wonderful plot overlooking the Mediterranean sea above Granadella Bay. The whole buying process was made safe and easy. We were introduced to an excellent solicitor, an advisor from the bank, and an architect (who all spoke good English) to complete the purchase of the plot. 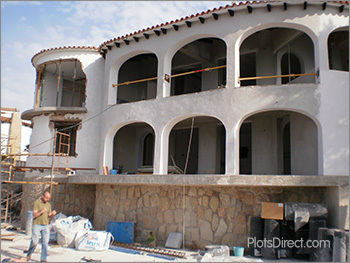 Gary at Plots Direct introduced me to a local Spanish builder who spent 10 months building our dream home. 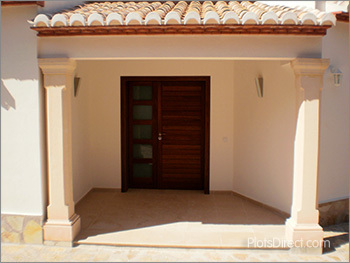 The villa was built on time, on budget and to a very high specification. We were still working in England at this time, but were sent regular photos and progress reports to keep us in-the-picture during construction. 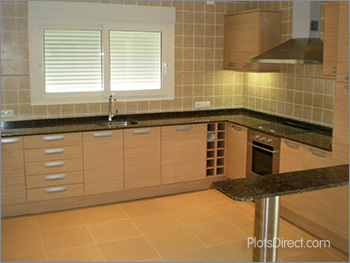 Weekly e-mails and phone calls made us feel that all was being taken care of in a professional manner. This was very reassuring. 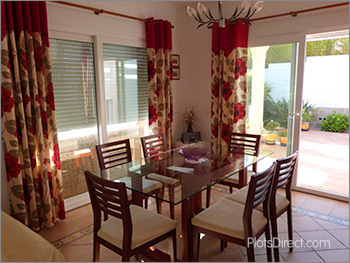 We moved into the villa at the beginning of 2008 and are so happy here that we recently asked them to find somewhere for my wife's mother, who fell in love with the area when she first came to stay with us. 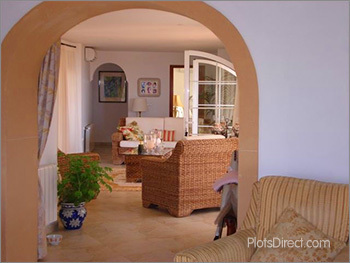 A pretty new town house proved to be a perfect acquisition and my mother-in-law now happily resides in the village of Benitachell, just outside Javea. 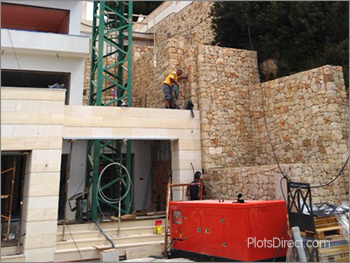 Once again, the whole process was made easy and safe, thanks to Plots Direct. We were looking forward to our retirement. Now we know why.